During the documentary there are four uses of profanity used by former American soldiers being interviewed about their experiences in World War II. The common military acronyms FUBAR and SNAFU are explained, each of which include profanity. The other two uses of profanity are uttered during descriptions of combat experiences. 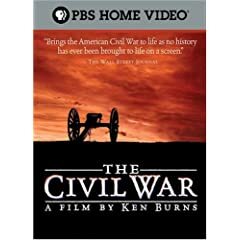 PBS will be offering two versions of The War, one with and one without the profanity. PBS is hoping this will appease the FCC, and assure the affiliates that they will not be fined for airing the documentary. Individual stations could be fined up to $325,000 for broadcasting the profanity. What was the fundamental change between 2002 and 2007? There was the Janet Jackson incident during the Super Bowl in 2004, but that should not fundamentally alter the handling of heart-felt emotion expressed by defenders of our nation during a documentary. This stance by the FCC has exceeded the need to protect the public. Most would agree that a bare breast during a dance routine should not be part of a prime-time program. But, it is not the government that should regulate this, the free market, along with complaints to the broadcaster will take care of such incidents. Allow our warriors to express themselves. We owe them that, and much more. as usual the inclusion of non-white soldiers at the eleventh hour indicates the American attitude abiout the real americans that don’t happen to be white. congratulations on pushing a bonafide, lifelong pbs aside. please don’t underestimate the power of “word of mouth”. as it it, most don’t take public television seriously, and this clown puts out a piece of partial history and wants doubters to take seriously. good luck. i’ll miss my pbs, but i won’t miss another half truth about american history. you blew it with me.